VIC Records, DISCIPLES OF POWER is a Canadian thrash/death metal band formed as Warthorn in Medicine Hat, Alberta in 1986. 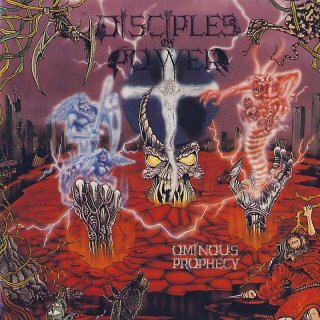 In 1987, they changed their name to DISCIPLES Of POWER, relocated to Edmonton and were active until November 2003. DISCIPLES OF POWER released 5 albums from 1989 up to 2002. Their second full length album ?Ominous Prophecy? is now finally re-released. All songs are remastered, and the new booklet contains rare pics and flyers.